I'm about to head out, butI I felt like sharing what I'm wearing tonight a little. Yes, it's a black and white photo, but I liked the effect of it. 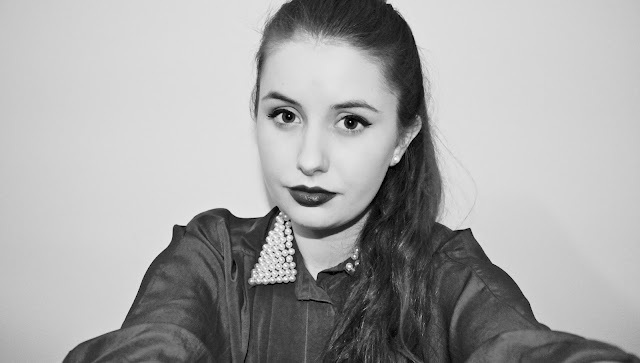 I'm wearing my Media lipstick by MAC, with my DIY pearled collared shirt. I'm also wearing my hair up in a high ponytail, which is slightly unusual for me, but I liked the look it. You are so beautiful. Your makeup is perfect.